The URL inspection tool (formerly Google Fetch and Render) is a great free tool that allows you to check if Google can properly render your pages. 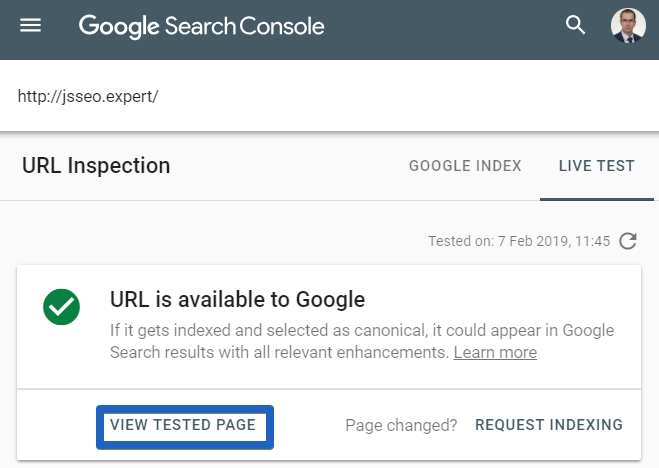 The URL inspection tool requires you to have your website connected to Google Search Console. If you don’t have an account yet, check Google’s Help pages. 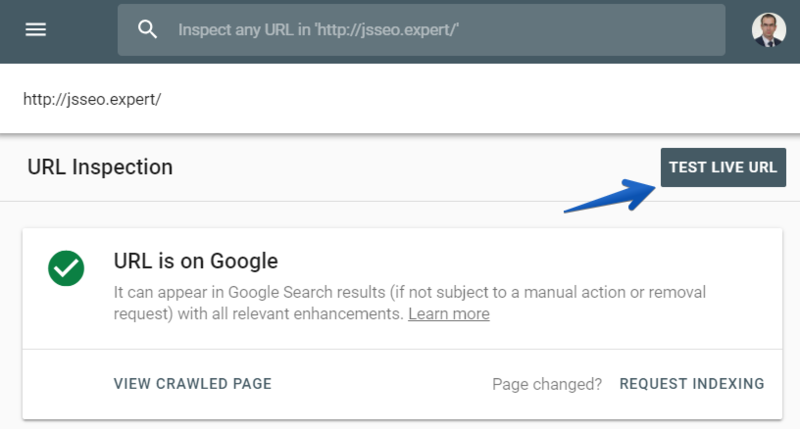 Open Google Search Console, then click on the URL inspection button. In the URL form field, type the full URL of a page you want to audit. 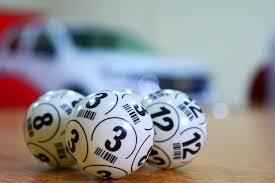 Then click on TEST LIVE URL. Once the test is done, click on VIEW TESTED PAGE. And finally, click on the Screenshot tab to view the rendered page. Is the main content visible? Can Google see the user-generated comments? 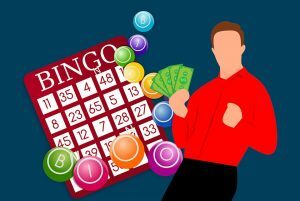 Can Google access areas like similar articles and products? Can Google see other crucial elements of your page? Google encountered timeouts while rendering. Some errors occurred while rendering. 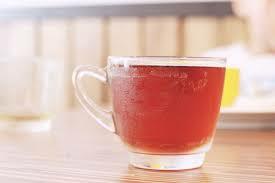 You probably used some features that are not supported by Google Web Rendering Service (Google uses the four-year-old Chrome 41 for web rendering, which doesn’t support many modern features). It’s a plain text file that instructs Googlebot or any other search engine bot if they are allowed to request a page/resource. 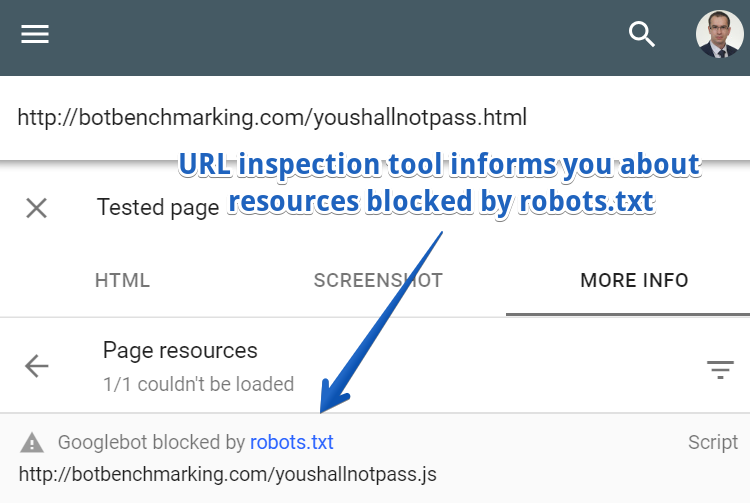 Fortunately, the URL Inspection tool points out all the resources of a rendered page that are blocked by robots.txt. But how can you tell if a blocked resource is important from the rendering point of view? You have two options: Basic and Advanced. In most cases, it may be a good idea to simply ask your developers about it. They created your website, so they should know it well. Obviously, if the name of a script is called content.js or productListing.js, it’s probably relevant and shouldn’t be blocked. Now, we can use Chrome Developer Tools for that. Open the page in the most recent version of Chrome and go to Chrome Developers Tools. Then move to the Network tab and refresh the page. 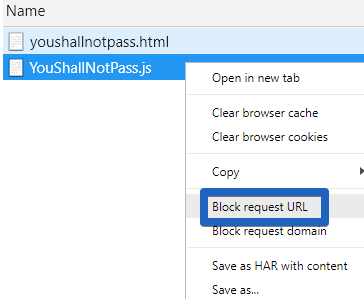 Finally, select the desired resource (in our case it’s YouShallNotPass.js), right-click, and choose Block request URL. 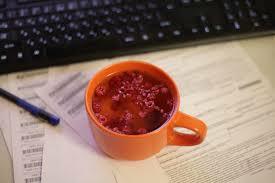 Refresh the page and see if any important content disappeared. If so, then you should think about deleting the corresponding rule from your robots.txt file. To diagnose it, in the URL Inspection tool click on the More info tab. Then, show these errors to your developers to let them fix it. Your website may work fine in most recent browsers, but if it crashes in older browsers (Google Web Rendering Service is based on Chrome 41), your Google rankings may drop. 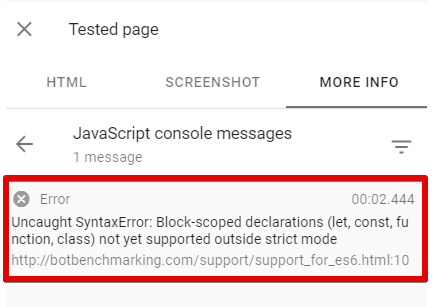 A single error in the official Angular documentation caused Google to be unable to render our test Angular website. 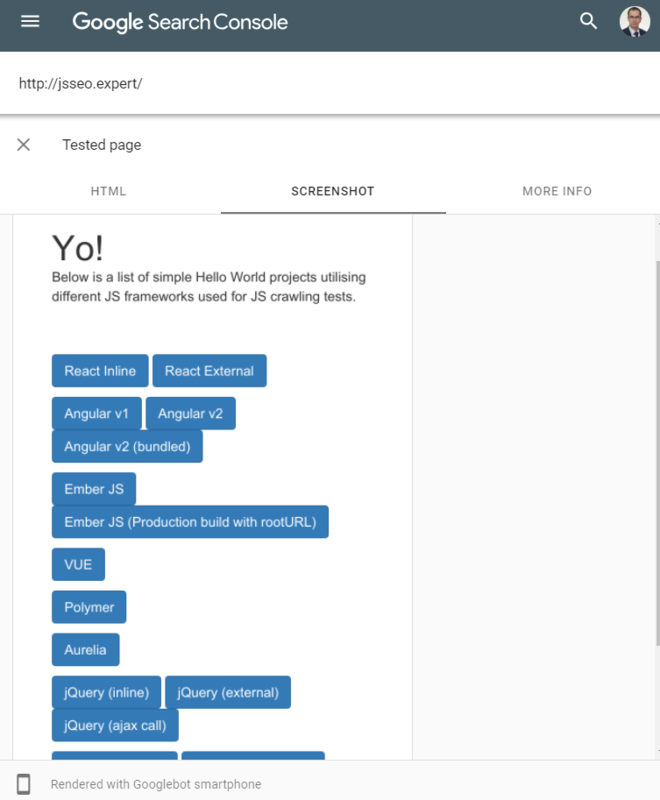 Once upon a time, Google deindexed some pages of Angular.io, an official website of Angular 2+. It’s not enough to just see if Google can render your website properly. You have to make sure Google has properly indexed your content. The best option for this is to use the site: command. It’s a very simple and very powerful tool. Its syntax is pretty straightforward: site:[URL of a website] “[fragment to be searched]”. Just take caution that you didn’t put the space between site: and the URL. 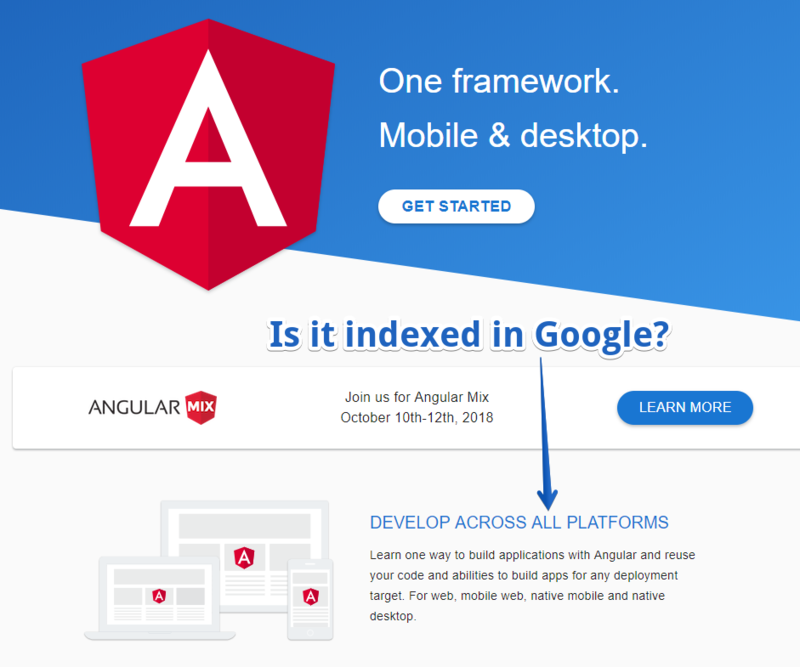 Let’s assume you want to check if Google indexed the following text “Develop across all platforms” which is featured on the homepage of Angular.io. As you can see, Google indexed that content, which is what you want, but that’s not always the case. Use the site: command whenever possible. Check different page templates to make sure your entire website works fine. Don’t stop at one page! 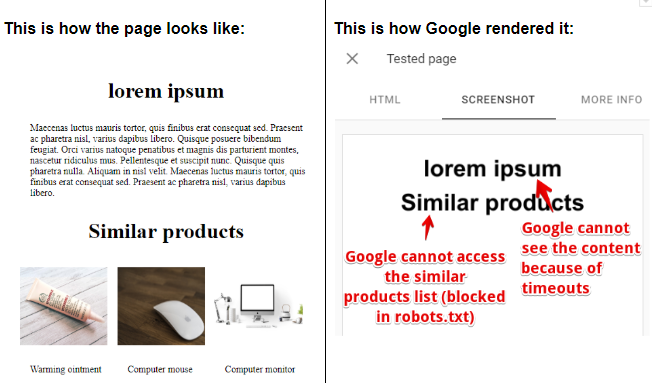 Google still didn’t render your content. It should happen up to a few days/weeks after Google visited the URL. If the characteristics of your website require your content to be indexed as fast as possible, implement SSR. Google encountered timeouts while rendering a page. Are your scripts fast? Do they remain responsive when the server load is high? 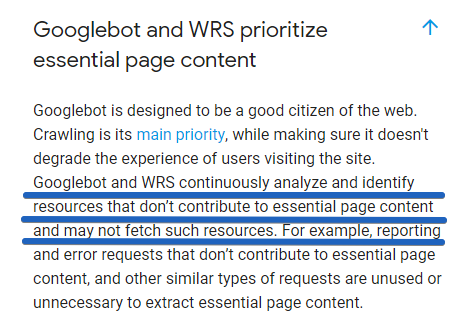 While indexing, Google may not fetch some resources if it decides that they don’t contribute to the essential page content. Google needs proper <a href> links to discover the URLs on your website. If your links are added to the DOM only when somebody clicks on a button, Google won’t see it. As simple as that is, plenty of big companies make these mistakes. Googlebot, in order to crawl a website, needs to have traditional “href” links. If it’s not provided, many of your webpages will simply be unreachable for Googlebot! Please note: if you have proper <a href> links, with some additional parameters, like onClick, data-url, ng-href, that’s still fine for Google. 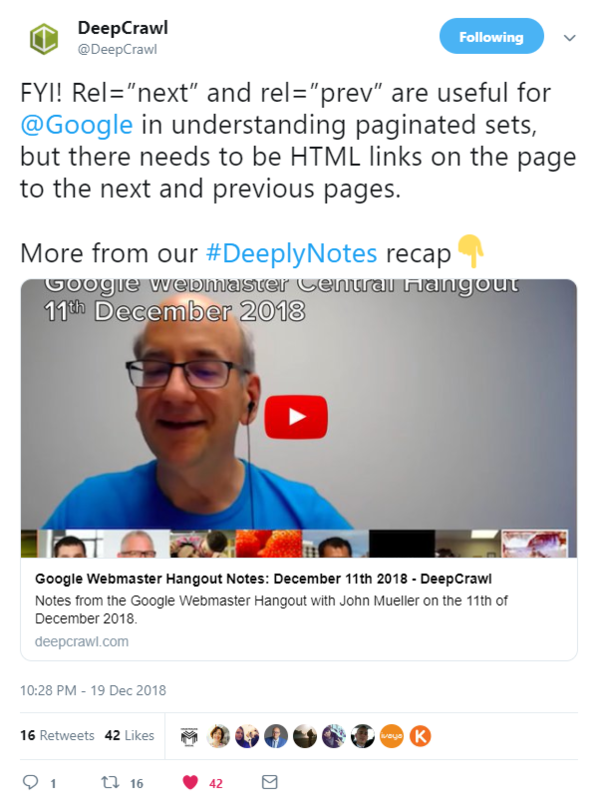 Not letting Googlebot discover pages from the second page of pagination and beyond is a common mistake that developers make. 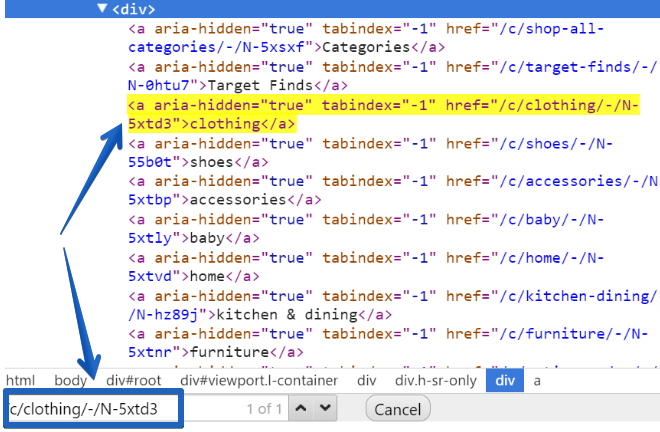 When you open the mobile versions for Gearbest, Aliexpress and IKEA, you will quickly notice that, in fact, they don’t let Googlebot see the pagination links, which is really weird. When Google enables mobile-first indexing for these websites, these websites will suffer. How do you check it on your own? Then navigate to any page. For the sake of the tutorial, I’m using the mobile version of AliExpress.com. For educational purposes, it’s good if you follow the same example. Open the mobile version of the Mobile Phones category of Aliexpress. Then, right-click on View More and select the inspect button to see how it’s implemented. As you can see, there are no <a href>, nor <link rel> links pointing to the second page of pagination. 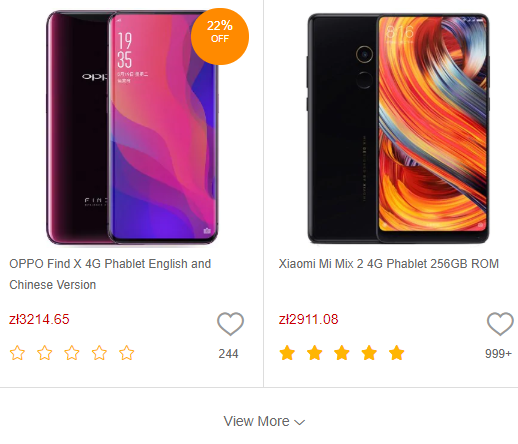 There are over 2,000 products in the mobile phone category on Aliexpress.com. Since mobile Googlebot is able to access only 20 of them, that’s just 1 percent! That means 99 percent of the products from that category are invisible for mobile Googlebot! That’s crazy! These errors are caused by the wrong implementation of lazy loading. There are many other websites that make similar mistakes. You can read more in my article “Popular Websites that May Fail in Mobile First Indexing”. Note: it’s common to use “link rel=”next’ to indicate pagination series. 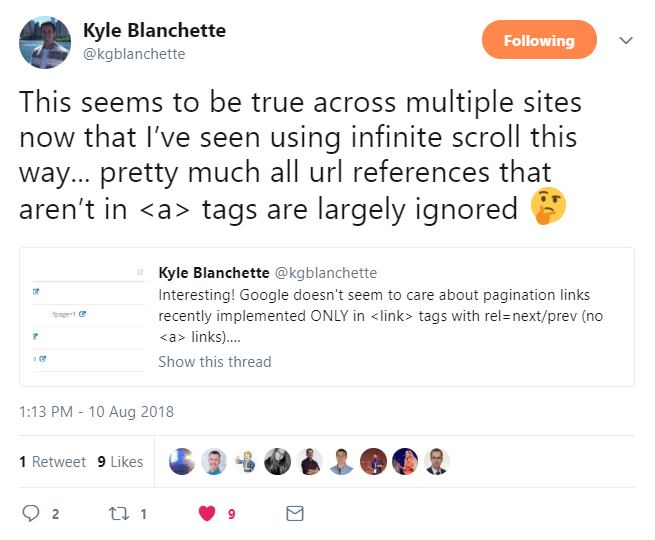 However, the discoveries from Kyle Blanchette seem to show that “link rel=”next” alone is too weak a signal for Google and should be strengthened by the traditional <a href> links. 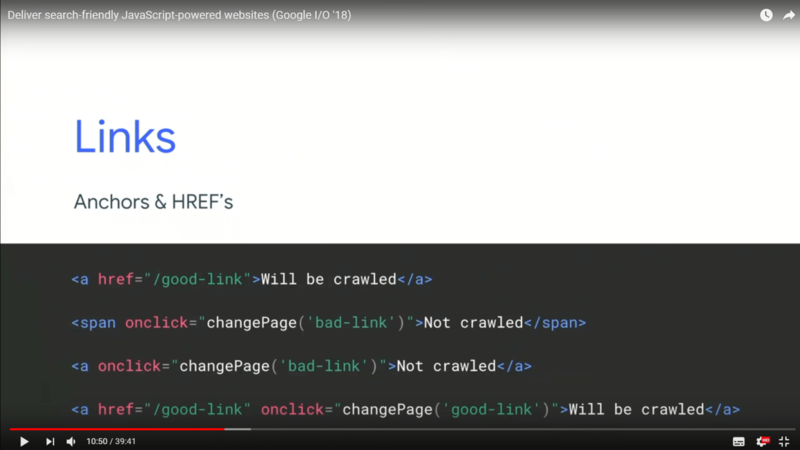 “We can understand which pages belong together with rel next, rel=”previous”, but if there are no links on the page at all, then it’s really hard for us to crawl from page to page. (…) So using the rel=”next” rel=”previous” in the head of a page is a great idea to tell us how these pages are connected, but you really need to have on-page, normal HTML links. Don’t get me wrong — there is nothing wrong with using <link rel=”next”>. On the contrary, they are beneficial, but it’s good to combine these tags with traditional <a href> links. Next, open Chrome 41. In the Chrome Developer Tools (click Ctrl + Shift + J), navigate to the elements tab. The results? Fortunately enough, Google can pick up the menu links of Target.com. Now, check if Google can pick up the menu links on your website and see if you’re on target too. 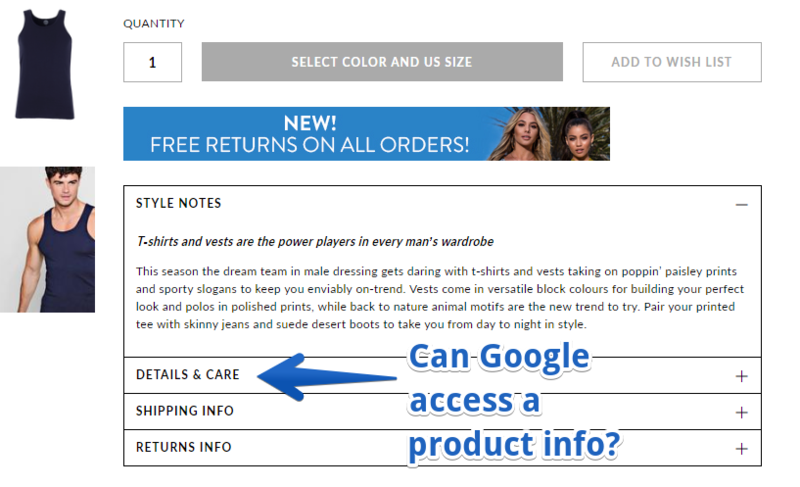 I have often observed that in the case of many e-commerce stores, Google cannot discover and index their content that is hidden under tabs (product descriptions, opinions, related products, etc). I know it’s weird, but it’s so common. It’s a crucial part of every SEO audit to make sure Google can see content hidden under tabs. 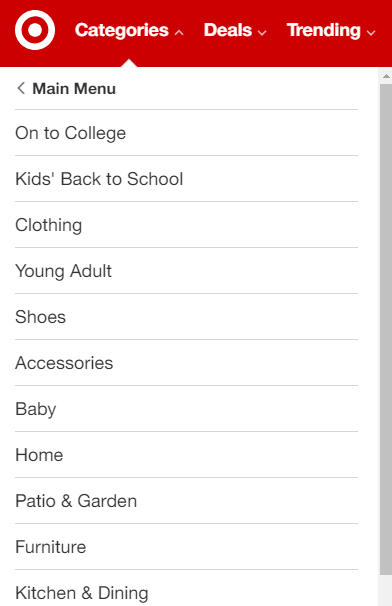 Open Chrome 41 and navigate to any product on Boohoo.com; for instance, Muscle Fit Vest. Now, it’s time to check if it’s in the DOM. To do so, go to Chrome Developers Tools (Ctrl + Shift + J) and click on the Network tab. Make sure the disable cache option is enabled. 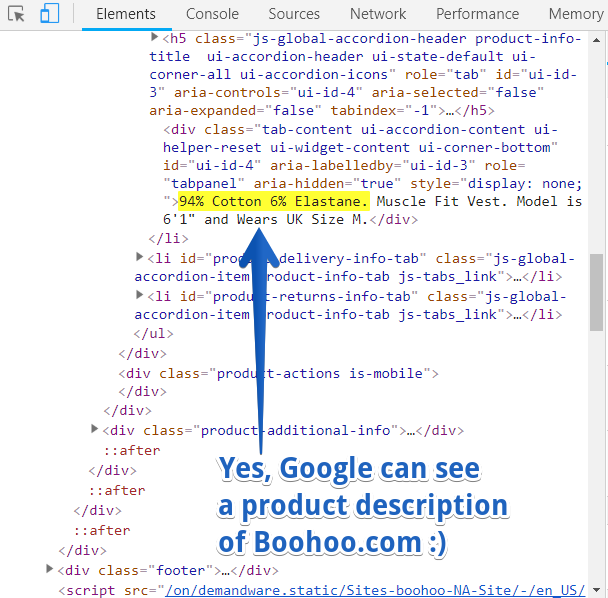 As you can see, in the case of boohoo.com, Google is able to see the product description. Perfect! Now take the time and check if your website is fine. If you are still struggling with Google ranking, you might want to think about implementing dynamic rendering or hybrid rendering. 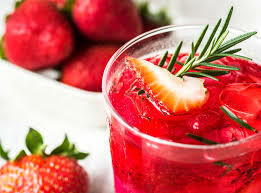 And, of course, feel free to reach out to me on Twitter about this or other SEO needs. Social media can be a fun and informative way to stay up-to-date with friends, co-workers, celebrities, and politicians. But it’s important to remember that the photos and videos you share aren’t always accessible to everyone. The post 5 Easy Ways to Transform Your Website into a Standout Salesperson appeared first on Copyblogger.